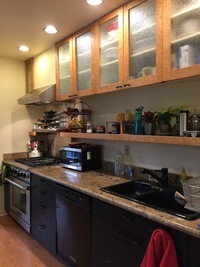 We did a cosmetic update on this kitchen and had new drawer and door fronts custom made for the modern base cabinets as well as a new full height backsplash. 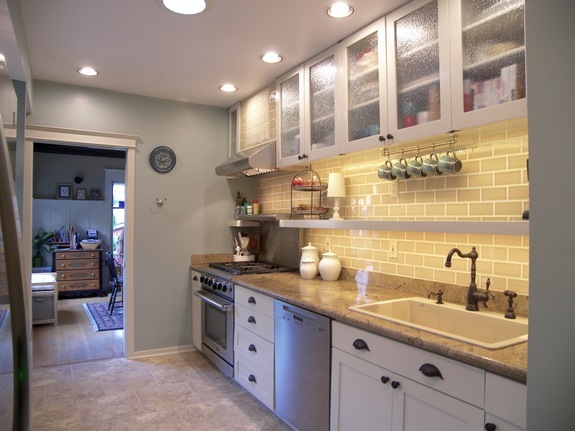 All cabinets were painted to coordinate with other built in cabinets in the rest of the 1920's era home. No under cabinet lighting here in the before kitchen. 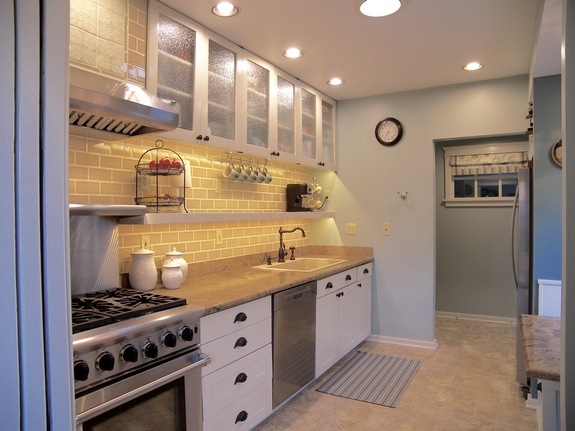 With the new under cabinet lighting and backsplash it changes the look completely. 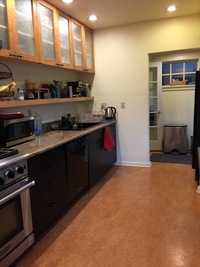 The counter top is existing with a new sink and faucet. 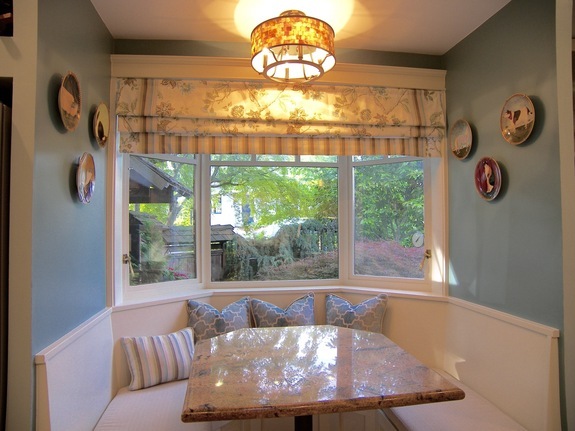 The clients love the kitchen nook and we wanted to keep it but revive it. We were able to add drawers to the bottom portion of the nook for extra storage. 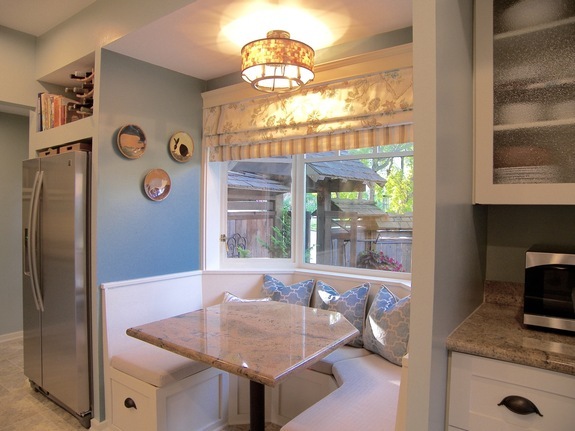 Changing out the light fixture, adding a window treatment plus new upholstery on the cushions and new pillows really spruced up this favorite area of the kitchen. 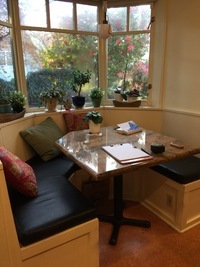 The granite table is existing and matches the counter tops. 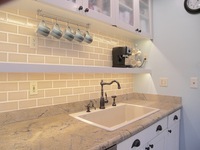 Detail shot of the backsplash and new sink and faucet. Now this is a very inviting kitchen nook with the updates made and darker paint color to add a touch of drama.